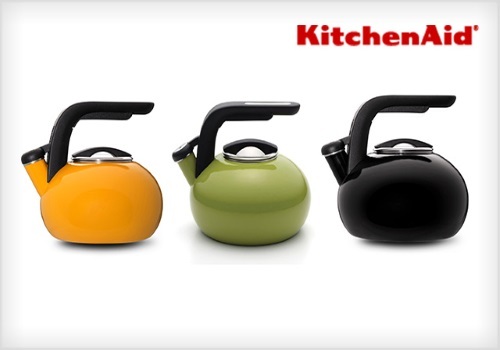 Wagjag has a great offer on KitchenAid Tea Kettles! Get a KitchenAid 1.5 Quart Curling Tea Kettle for only $14.99 ($59.99 value). Product will arrive within 2-6 weeks of deal closing date (March 21). Limit 3 buys per person, may buy more as gifts. Does not include shipping ($5.95 extra charged at checkout). Limited time and quantities available.